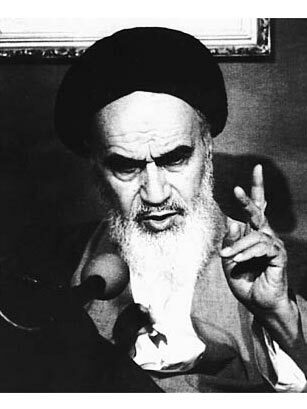 A politically active Shi'ite cleric, Khomeini was an outspoken critic of the Shah of Iran's Western-influenced policies and was exiled to Iraq for 14 years before moving to France, where he continued his opposition. By January 1979, public anger with the Shah caused him to flee, and a month later Khomeini returned from exile. By April he had established a theocracy based on strict adherence to Islamic law, with the U.S. as Iran's greatest enemy. With his support, students seized the U.S. embassy in Tehran on November 4, 1979, and held 52 Americans hostage for 444 days. In 1980, a dispute with Iraq became an eight-year holy war that cost the two countries more than one million lives. He remains a powerful symbol to Iranians even after his death in 1989. "Rarely has so improbable a leader shaken the world," said TIME in naming him Man of the Year for 1979. (1/7/80).